Hallmark Speakers – Bournemouth | Ferndown Speakers – Ferndown | Casterbridge Speakers – Dorchester and Chaseside which is a JP Morgan in-house company club based in Bournemouth. All clubs enjoy a very friendly atmosphere where people from all walks of life come together to learn and practice public speaking in a fun and safe environment. As this year’s Area Director, I am introducing another Three Letter Acronym into the Area 42 lexicon this year. TTM stands for Tiny Things Matter. Getting good at public speaking is a journey that never stops; it involves breathing, planning and practice. Imagine the consequence if you stopped doing any of those three things? Because the progress is incremental often we don’t realise how far we have come since we started on our speaker journey. The plan is to recognise as many of those little successes like champagne bubbles rising to rim of the glass. I encourage everyone to practice as often as they can. TTMs, like volunteering for roles at the meetings and requesting feedback on your presentational skills via the Competent Leadership manual, will make a difference. Finally, good evaluation is the very essence of self-directed learning. Let’s be the very best at pointing out those TTMs. That way, we can learn not just from thoughtful recommendations but from celebrating what we do well, as we progress. 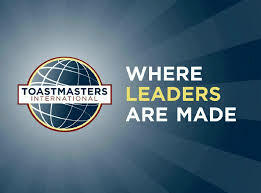 My role as Area Director is to help and advise the clubs on many TTMs whilst acting as a link to the wider Toastmasters organisation. Specific jobs include organising the club officer training and conducting regular visits to offer guidance and spread best practice. If you are not yet party to this amazing resource and would like to increase your speaking ability and improve your confidence, then I urge to you to visit one of our clubs. We never forget that the first step is the hardest. You are assured of a warm welcome, plenty of fun and the chance to meet some friendly, helpful and interesting people. PS Please like the Area 42 Facebook Page for those TTM updates!